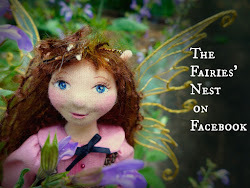 The Fairies Nest - OOAK Cloth Dolls & Fiber Fantasies: How does your Garden Grow? Unfortunately I cannot have a proper garden at my condo, but I am growing some ferns, cooking herbs and salad greens in containers on my little porch area. It's very relaxing to just sit out there with my little patch of green. She is sooo sweet! I can see why you're loving them! I can relate to feeling behind.It's the story of my life. I worked in the yard all last weekend...and was so sore the next two days I could barely move! You have beautiful raised beds next to your home. I wish that I could have a garden at our apartment. Someday, I think it would be wonderful to have a similar patch like yours. Your garden is very inspiring for me. Your Roses are beautiful and I know what you mean about wanting to be outside. I love the sweet little cat girl. So cute! And your roses! I would be sneaking away to the garden as well! hi...i just saw you on yve's blog and took a look at yours. 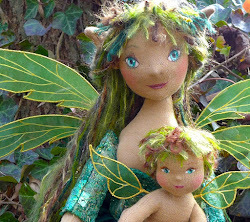 your dolls are wonderful!!!! 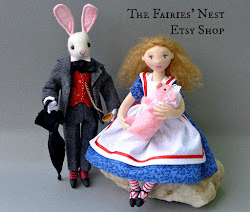 you might want to peak at my blog as well!